A joke has been making the rounds of Silicon Valley for years: What’s the difference between God and Larry Ellison? God doesn’t think he’s Larry Ellison. 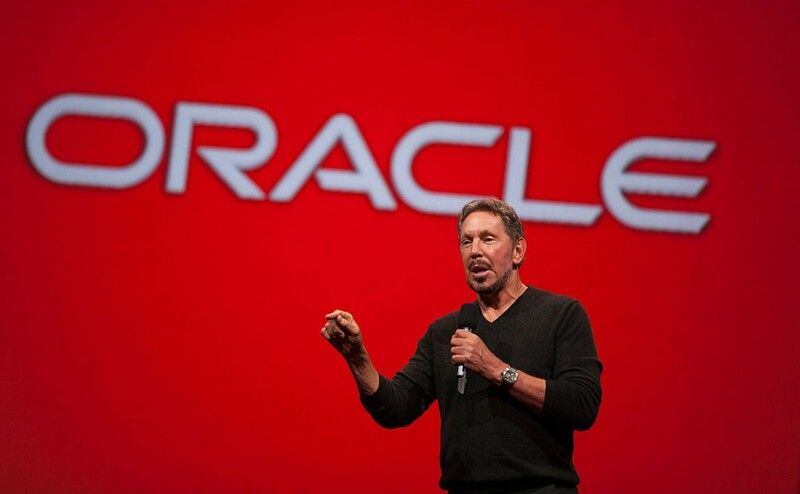 Oracle founder Ellison is the fifth richest man in the world, with a $48 billion net worth. He started out a lonnnnnnnng way from the current wealthy confines he now inhabits. This is his incredible rags-to-riches tale. Larry Ellison was born in the Bronx, New York on August 17, 1944. His mother was a 19-year-old single mother who was not equipped to take care of her infant son. She sent him to live with her aunt and uncle on the South Side of Chicago. Lillian and Louis Ellison legally adopted Larry when he was nine months old. Ellison didn’t find out that he was adopted until he was 12 years old and didn’t meet his biological mom until he was 48 years old. He has never known his biological father. Ellison was a rebellious teenager who was often at odds with his adoptive father. Louis Ellison took every opportunity he had to let Larry know that he’d never amount to anything. Ellison enrolled at the University of Illinois. Towards the end of his sophomore year, Lillian Ellison died. Wracked with grief, Ellison dropped out of school. The following fall, he enrolled at the University of Chicago. He only lasted one semester before he dropped out again. His father was absolutely sure that Larry was on the fast track to nowhere. Fortunately, this was exactly the motivation the future billionaire needed. Ellison headed west and landed in Berkeley, California. Over the next eight years, Ellison worked a series of jobs before landing a programmer job at Ampex. While at Ampex, Ellison helped build the first IBM compatible mainframe. In 1977, Ellison and two of his Ampex co-workers left to found Software Development Labs. Ellison was the CEO. Not long after founding SDL, they won a contract to build a relational database management system for the CIA. They called this project Oracle. SDL eventually developed the CIA system for commercial use and called it Oracle. In 1981, just four years after co-founding his own company, IBM chose Oracle to run its mainframes. For the next seven years sales doubled each and every year. Today Oracle has a market value over $100 billion. He lives on a 23-acre estate that is modeled after a Japanese emperor’s 16th century country residence. His $200 million mega-yacht, Rising Sun, is 450 feet long and at the time it was built, was the sixth-largest privately owned yacht in the world (it is now the 11th). In 2012, Ellison spent $300 million to buy 97% of the Hawaiian island of Lanai.